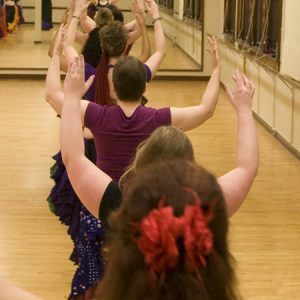 View cart “Level 3 Tribal Bellydance – Combos & Concepts” has been added to your cart. Become one with your music! 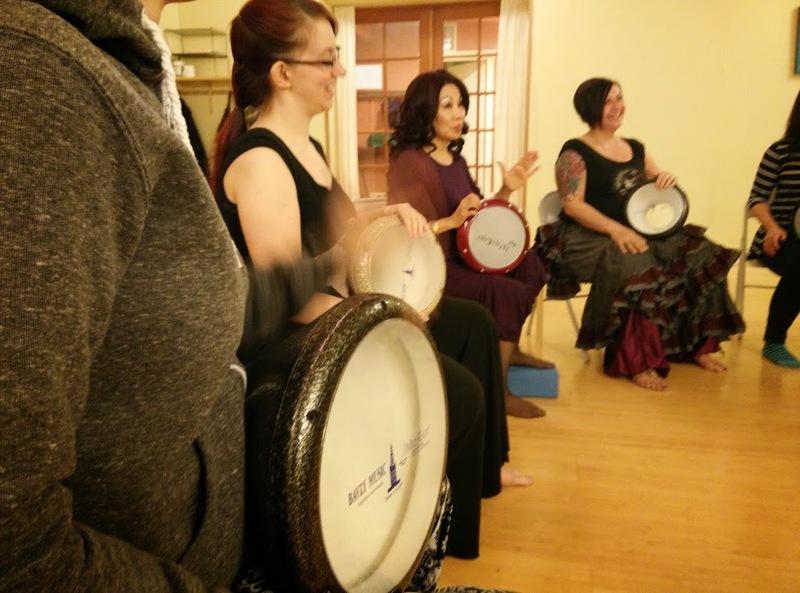 A great way to expand your dance knowledge is by learning to play classic Middle Eastern rhythms on the doumbek, the goblet-shaped drum of Egypt. This class is not eligible for multi-class discounts/unlimited packages. Pre-register and save $15 over drop-in! See the Class Schedule for day and time. Become one with your music! 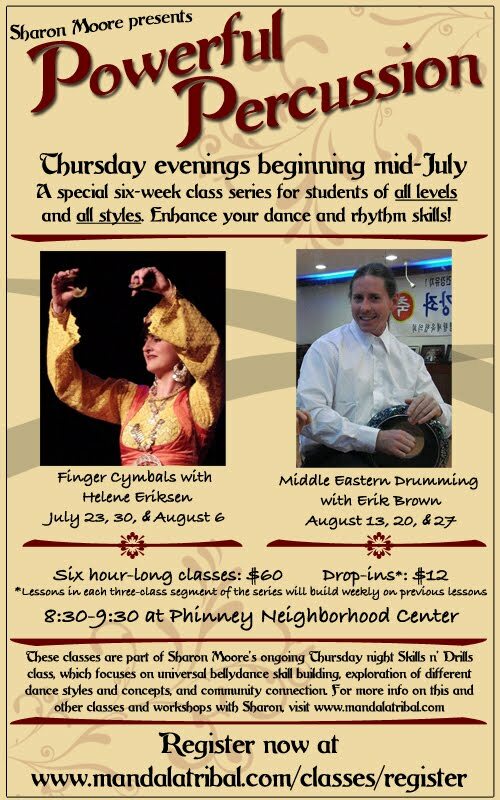 A great way to expand your dance knowledge is by learning to play classic Middle Eastern rhythms on the doumbek, the goblet-shaped drum of Egypt. You can also play riq or frame drum for the class if you like. Don’t have a drum? There are several local shops where you can snag one. Try Guitar Center or Trading Musician. While doumbeks are preferred, frame drums, riqs/tambourines are also suitable. 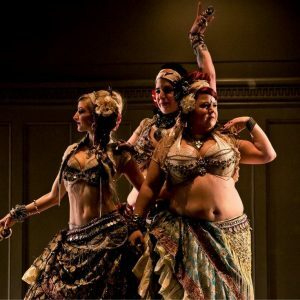 The fabulous Jane Hall of local band “House of Tarab” will be teaching basic doumbek technique and foundation rhythms of Middle Eastern dance at Deep Roots Dance. This class is open to students of all levels, as well as non-dancers who wish to learn or gain greater proficiency on the doumbek. This class is not eligible for multi-class discounts/unlimited packages. Pre-register and save $10 over drop-in rates! Powerful Percussion continues this week! Each class in this series will offer conditioning drills, skill explorations, movements and variations, then blend them into a combination we can dance together. Each week will build in complexity as students increase their confidence. Be ready for a fun, challenging workout! 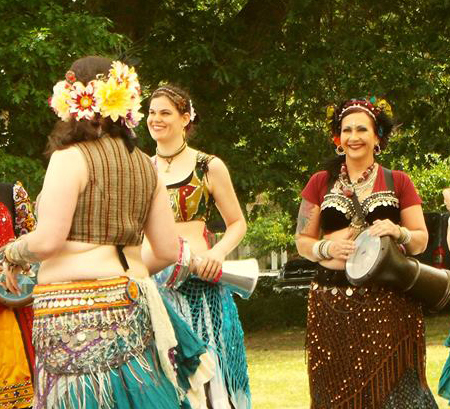 Students should have some bellydance experience under their belt. Pre-registration always saves you at least $10 or more over drop-in rates, and reserves your spot in the class series. Intermediate to advanced concepts are explored in this class. By instructor permission only. Pre-registration always saves you at least $15 over drop-in rates, and reserves your spot in the class series. 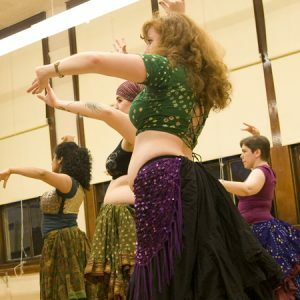 Level 1 – Foundations Tribal Bellydance – A six weeks series of fun tribal bellydance classes at Deep Roots Dance. 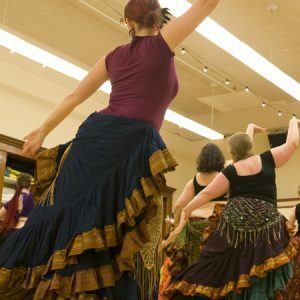 Build on your Level 1 skills and challenge yourself in this 12-week cycle (two six-week series) of bellydance classes with Deep Roots Dance. Unlimited students are allowed unrestricted access for six full weeks, including all regular weekly classes at their current working level, and are not affected by “full” status – one of the major benefits of Unlimited subscriptions!